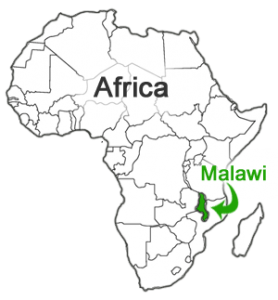 Malawi Survey | Roz Heyns | Alabaster Ministries Inc.
Landlocked Malawi ranks amongst the world’s least developed countries. It has a population of 13.5 million, 85% of which live in rural areas. The economy of the country is predominately agricultural. In the past the elderly in Malawi used to depend on the economic and social support of their children and the community. With increased social-economic difficulties and changing family ties in Malawi, children fail to look after their ageing parents. Similarly, communities are failing to provide for the needs of the elderly. The plight of the elderly is made worse with the direct and indirect effects of HIV and AIDS. This pandemic has taken a toll on the lives of young people of working age groups. The result has been large numbers of orphans under the care of grandparents who are economically not equipped to provide support and care for their own needs. Furthermore, it would be difficult for most developing countries, including Malawi, to achieve the Millennium Development Goal on reducing poverty by half by 2015 without some mitigation efforts for the elderly and other vulnerable groups. Taking care of the elderly accords them the chance to contribute towards the achievement of the Millennium Development Goals including that on the reduction of poverty by half by 2015. Global issues on ageing have evolved since 1982 when the International Plan of Action on Ageing was adopted at the First World Assembly on Ageing in Vienna. In 1991, United Nations Principles for Older Persons were formulated. The principles include areas such as independence, participation, care, self-fulfillment and dignity. Some of the rights of older people which include food, security and nutrition, housing and the living environment, family, social welfare and income security are determinants of the well-being of older people in Malawi and any other country in the world. A baseline survey in order to establish the gravity of the problems being faced by the elderly in Nsanje district was conducted from 22nd February to 25th February 2010. The survey covered five villages in each of the following tradition authorities of Nsanje district: Tengani, Malemia, Ngabu, Ndamera, Chimombo and Makoko. The survey was conducted so that its findings would ably provide a direction for an appropriate intervention effort. The survey revealed that the life of the elderly in Nsanje district is not at all comfortable. The following were some of the findings which were established following the baseline survey. There are over 125 documented endangered widows/ widowers between the ages of 65 and 105 in the Nsanje district and this has now increased as of January 2012 to 350. Lack of food: The survey established that most of the elderly in Nsanje are undergoing acute starvation. Most of the older people in Nsanje do not have anybody to support them due to the massive loss of life due to HIV/AIDS. Worse still, these elderly are not strong enough to do any piece work to fend for their daily bread. The survey established that about 85% of the elderly go to bed on an empty stomach most days. This is way below the poverty line as stipulated by the United Nations. Lack of clothing: The survey also established that most of the elderly in Nsanje district go almost naked. The vast majority of the elderly only have rags to clothe themselves in, and some only have a piece of cloth which they use to cover themselves during the day and night. As if this is not enough, most of them have no blankets. The survey revealed that closer to 90% of the aged in Nsanje have literally nothing to cover themselves up with when they go to bed at night and no sleeping mats to sleep on. In the summer they lie on the damp ground and in the winter they lie on the cold dirt. Lack of kitchen utensils: 87% of the elderly in Nsanje do not have the minimum required kitchen utensils. It was shocking to learn that some have only one pot with which to cook in. That same pot would be used for cooking nsima, relish, porridge and boiling water and also be used to collect water from the nearest river or well. Needless to say, this is very unhygienic and promotes disease. Inadequate laundry facilities: 73% of the elderly in Nsanje, do not have access to proper laundry facilities, and will often times use their single cooking pot to wash their meager clothes. Once again, a very unhygienic situation that promotes disease. Lack of proper housing: The survey established that 65% of the aged living in Nsanje, live in very dilapidated houses which pose a further risk to their lives. It is shocking to see some of the houses that the elderly attempt to live in throughout the Nsanje district. 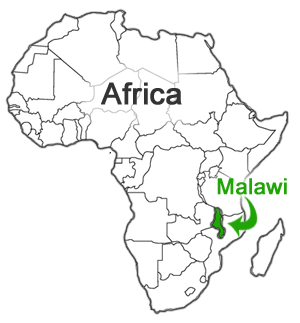 One wonders how they are able to shelter from the elements, especially with the heavy thunderstorms that Malawi receives. They are left to brave the elements as best as possible with the roofless, ramshackle houses which are the only shelter they have. No toilets and bathrooms: As if the afore mentioned problems are not enough, about 60 % of the elderly in the Nsanje district do not have access to toilets or bathrooms. Most of the elderly run to a nearby hideout or bush to answer the call of nature. This is very detrimental to their health because such practices have a high risk of causing a cholera epidemic. The elderly also have no place to bath or shower, and so have to take their baths late at night, either in a river or using their one cooking pot. Immediate measures should be taken that promote the status, well-being and security of the elderly in Nsanje district. There is a need to encourage community based care for the elderly. The Ministries should endeavor to alleviate poverty among the older persons in the Nsanje district. Reduced rate of preventable deaths that have a larger bearing on older women. Equal participation of both the young, medium and elderly in development activities.